1938 Gallaher (Lhassa Apso), $4.95. SPECIAL! Beautiful limited-edition casino chip from the Four Queens in Las Vegas. 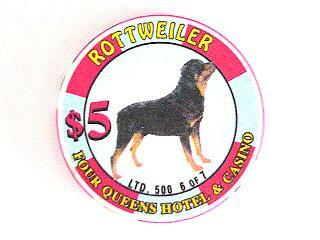 Seven dog species were featured and only 500 chips of each. $ 19.95.